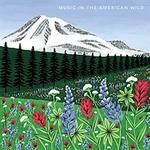 Music in the American Wild. Everything Flowing : for flute, clarinet in Bb, French horn, percussion, violin, viola & cello [eScore] / Aristea Mellos. Contents note: I. Hymn -- II. Monarchs -- III. Streaming through.